Author Madeline Miller holds her statuette after winning the Orange Prize for Fiction Award for her novel The Song of Achilles at the Royal Festival Hall, London 30 May 2012. 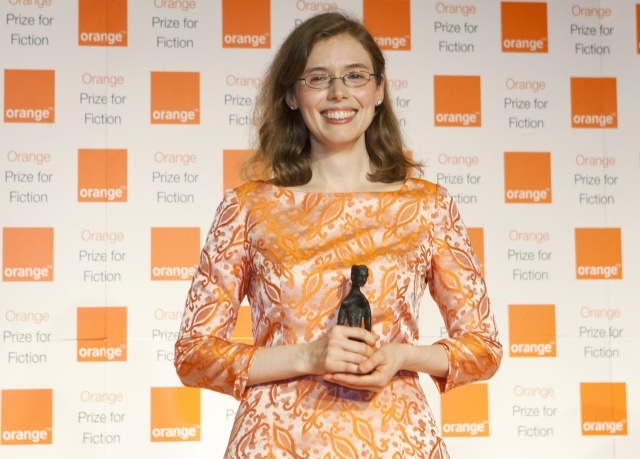 U.S. author Madeline Miller won the Orange Prize for fiction on Wednesday for her debut novel The Song of Achilles, a Homeric tale of love and friendship. Miller’s novel tells the story of Patroclus, an awkward young prince in exile whose friendship with ancient Greek hero Achilles grows into something far deeper. When word comes that Helen of Sparta has been kidnapped, Patroclus journeys with Achilles to Troy, little realising what awaits. Delhi-based novelist Rahul Bhattacharya has won the Royal Society of Literature Ondaatje Prize with his debut novel. The Sly Company of People Who Care, published by Picador, took the £10,000 prize, and was described by judge Michele Roberts as “one of the most exhilarating novels I have read for years”. Tom Phillips’s A Humument app, which can show a random pairing of two pages, a facility that delights the author. New print and digital editions of the painter Tom Phillips’s extraordinary work mark the artist’s 75th birthday. Thursday marks the 75th birthday of the artist Tom Phillips and much celebration is in order. He is best known for his ongoing project A Humument, new editions of which, in print and digital, coincide with this anniversary. A Humument is an altered novel, begun in 1966 and first published in 1970. Phillips paints, draws and collages over the pages of an obscure 1892 novel – WH Mallock’s A Human Document – leaving gaps for the original but transformed text to show through. Phillips has worked over the novel continuously through the decades: this year’s edition will be the fifth. 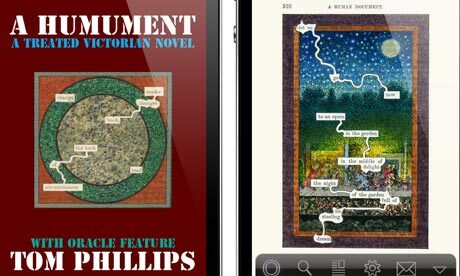 In 2010 A Humument appeared in digital form, as an app for iPhone and iPad. The technology suits it well: the brightly lit screen displays the pages at their best, as Phillips himself notes, “in colours more glowing than my pens and paints could achieve, almost like church windows at times”. What’s really interesting about A Humument‘s digital counterpart is that it’s not just a facsimile edition of the print version. Instead, Phillips implements something he’s wanted to be possible all along: the ability to select two pages at random and gain an insight from the juxtaposition, in the tradition of such divination books as the I Ching. Century has pre-empted two books by South African author Charlie Human, likening his writing to Neil Gaiman, China Mieville and Terry Pratchett. Editorial director Jack Fogg bought UK and Commonwealth rights to Apocalypse Now Now and as yet untitled second book from John Berlyne at the Zeno agency. Random House Struik bought South African rights in a separate deal. Apocalypse Now Now tells the story of 16-year-old Baxter Zevcenko who runs a schoolyard gang at his Cape Town high school. When his girlfriend, Esme, gets kidnapped, he is launched into the world of the Cape Town supernatural underworld. The growth of e-reading among older age groups shouldn’t come as too much of a surprise. New technology, like pop music or radical politics, is something you’re expected to lose touch with as you get older. This idea is encouraged by the young, who would rather their elders gracefully embraced luddism than try to befriend them on Facebook. What’s refreshing about e-reading is that it’s not just popular with traditional early adopters; their parents are getting in on the act too. According to market researcher Bowker, while younger people’s ebook consumption is plateauing, in older age groups it continues to grow: more than a quarter of 45- to 55-year-olds and a fifth of over-55s bought an ebook in the six months to March 2012, up from 17% and 15% last November. A OnePoll survey last year found the over-55s were more likely to own an e-reader than 18- to 24-year-olds. We shouldn’t be too surprised: older people tend to be heavier book-buyers and baby-boomers keen technophiles. 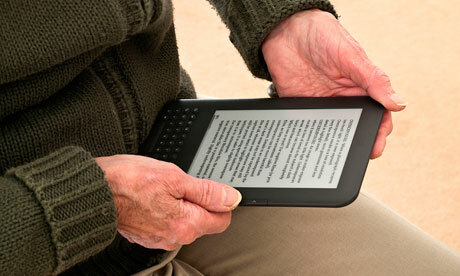 But e-readers have qualities that could make them indispensable to an ageing population. 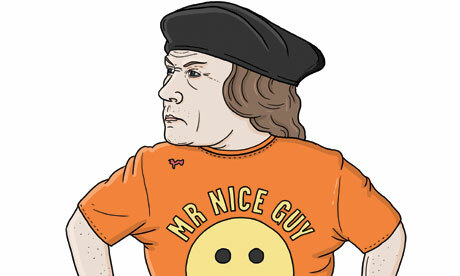 Cromwell finds maintaining this self-effacing Stephen Fry shtick annoying. In which I, Thomas Cromwell, return with my exhausting present tense to dissolve the monasteries. Silly old me!. “A wiser Master Secretary would do better to ruminate for a while on the death of his wife and daughters, and conduct imaginary conversations with Sir Thomas More in which he expresses regret that the former Lord Chancellor refused to swear the oath of succession and thus condemned himself to the block,” Hilary interrupts urgently. “And why should I want to do that?’ Cromwell snaps, his mind already on how much money he can make from the dissolution of the monasteries. John Cheever’s centenary is being celebrated in America today with the publication of a new edition of his collected stories. We don’t know about you, but here at Flavorpill, we were pretty weird kids — and now that the truth has come out, and we know that you really are what you read, we’re starting to wonder whether that wasn’t because of the books we were reading. Not that we’re sorry, or anything. Weird people are the best. 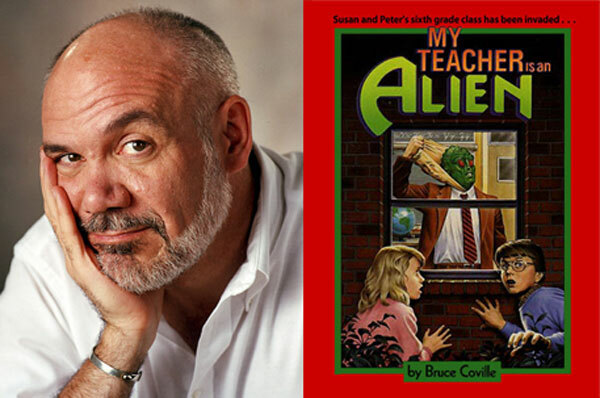 One of the authors influencing our childhood strangeness was prolific children’s book and YA author Bruce Coville, who turned 62 this week, so to celebrate his birthday, we’ve put together a list of the all-time weirdest authors of children’s and YA fiction — in our own estimation, of course.